FIRST Robotics Competition team 525 Swartdogs had an exciting month of March. We started the month by travelling to Duluth, Minnesota, for the Northern Lights Regional. 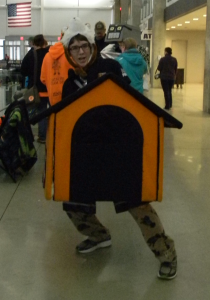 As our first regional of the year and the first regional for many students overall, it was a learning experience. 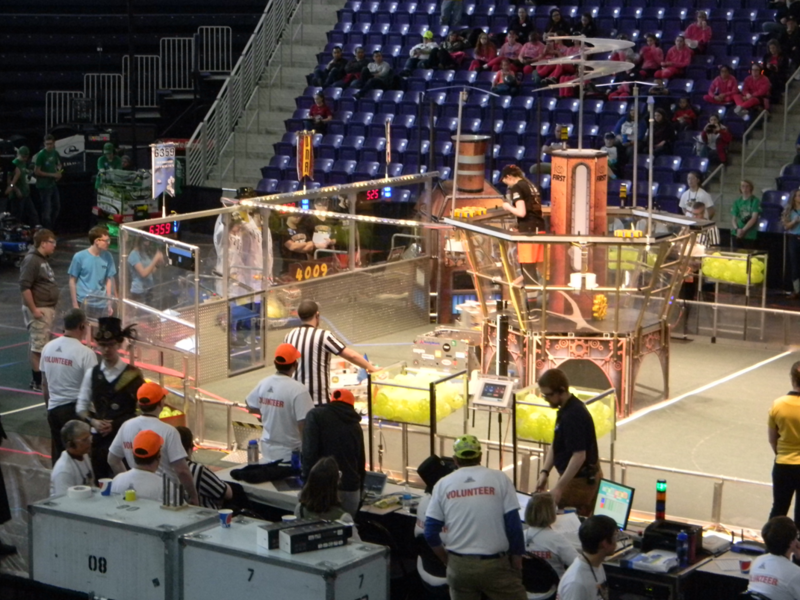 The regional’s Thursday practice matches gave our drive team the ability to practice on a full field. Friday consisted of participating in qualification matches, presenting for our Chairman’s Award interview, and having a scouting meeting. We also brought a junkyard robot, a small statue made of spare parts, to be displayed throughout the regional. Saturday morning included the rest of the qualification matches and playoffs. After the qualification matches were finished, we were the second ranked team, winning seven matches and only losing one match. 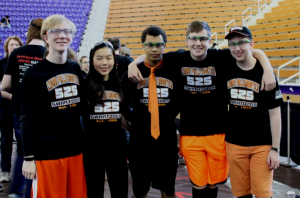 We were picked by the first seed alliance captain, 2987, Rogue Robotics, and joined by team Otternauts. 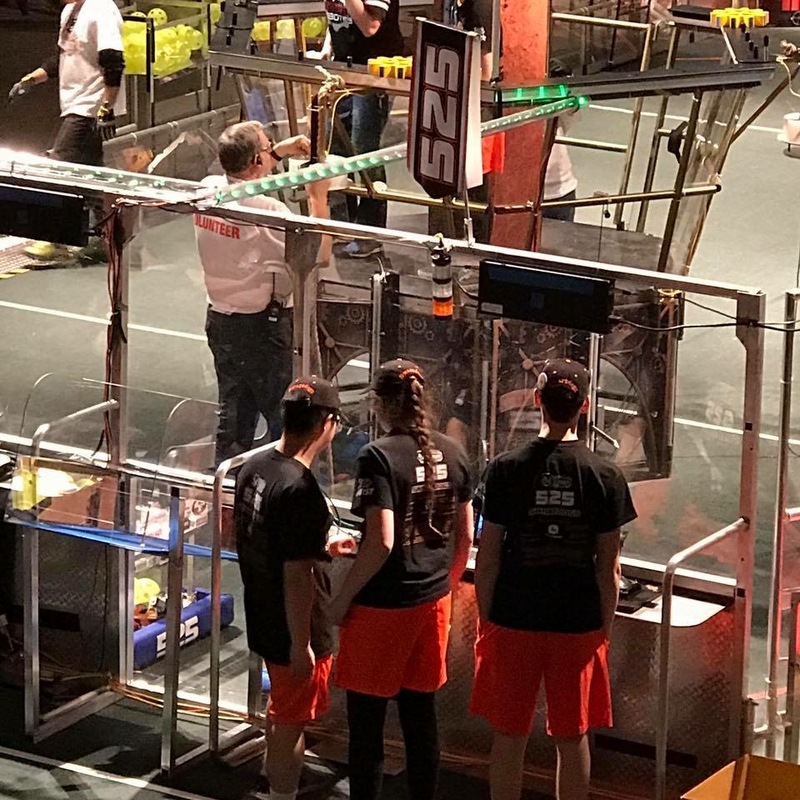 Together, we worked hard in the quarter finals, but the alliance lost both quarter final matches to the eighth seed alliance. At the Saturday awards ceremony, we received the Industrial Design Award for our robot and its design. Despite the fact that we did not advance past the quarterfinals, it was a fun weekend, and we looked forward to improving before our next regional. A couple of weeks later, the first official Shenzhen Regional was held in Shenzhen, China. We were extremely excited with its success. Two mentors even travelled to China to help! Three weeks later, we hosted and participated in the second annual Iowa Regional. Located in the UNI-Dome and McLeod Center, this regional was special for our team as it was located in our hometown of Cedar Falls, Iowa. This allowed our families and friends to easily come and learn about FIRST while watching us participate in the regional. We were extremely excited that the Iowa Regional was promoted through two billboards in Cedar Falls. 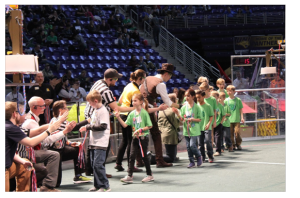 The Iowa Regional also included the other three FIRST programs through demonstrations by FIRST LEGO League and FIRST Tech Challenge teams and a FIRST LEGO League Jr. Expo. Another great part of the Iowa Regional was that there were eleven rookie teams, ten of which were from Iowa. With a similar schedule as Duluth, we participated in practice matches Thursday, qualification matches all day Friday and Saturday morning, and playoffs Saturday afternoon. We also attended the team social on Friday night, allowing us to interact with other teams. Friday night also featured a small awards ceremony. We were extremely excited as two of our mentors were acknowledged for all of their hard work. First, mentor Tom Ore was recognized with the Woodie Flowers Finalist Award, an award given to a mentor nominated by their team. 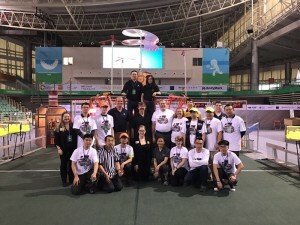 Tom was honored for his work teaching students CAD and helping with CAD workshops, volunteering in all four FIRST programs, and helping advance FIRST and FRC in China. Tom is the fifth Swartdog mentor to be recognized with this award. Second, mentor Jan Newendorp received the Volunteer of the Year Award for her work running the FRC Iowa Regional and the Cedar Falls FLL Regional Qualifier and FLL Jr Expo. The next day, after the end of the qualifying matches, we were ranked 14th overall, winning six matches and losing three. 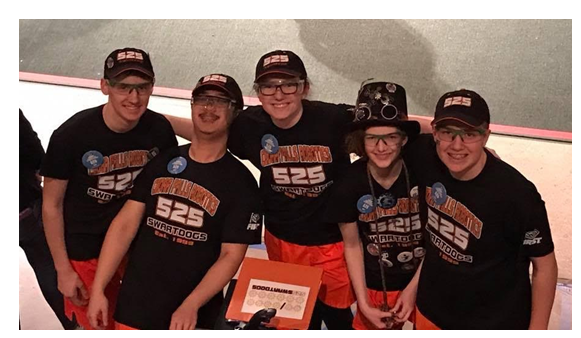 During the alliance selections, we were the first team picked by the 6th ranked alliance captain team 4009, Denfeld DNA Robotics, and joined by team 6359, TechKnow Difficulties. 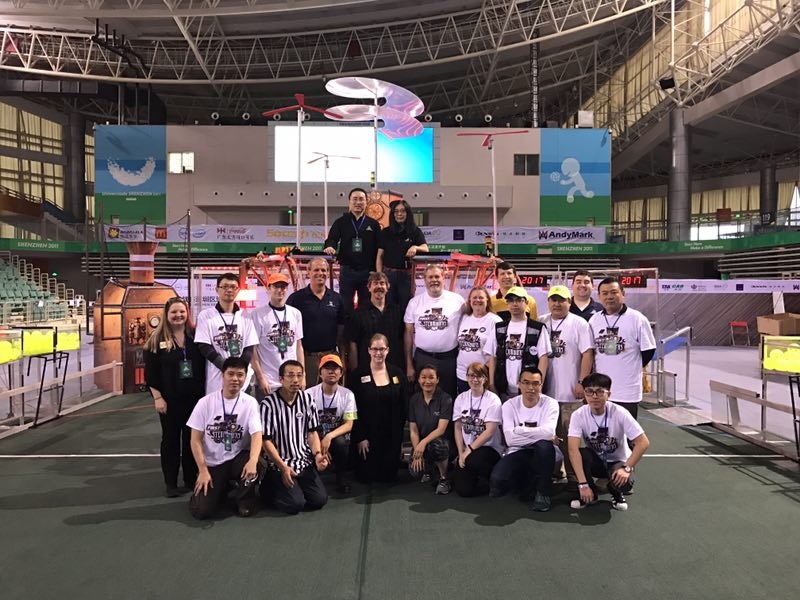 During the first quarterfinal match, we lost after a tie in points, but our alliance received more penalty points, meaning we lost the match. 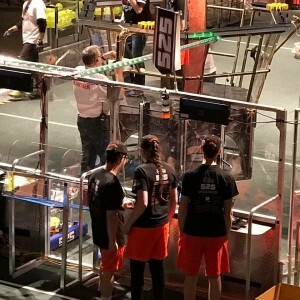 Due to our robot breaking in the second match, our robot was outside of the allowed parameter, causing our alliance to receive a penalty. Sadly, we lost the second match of the quarterfinals as well, ending our day. 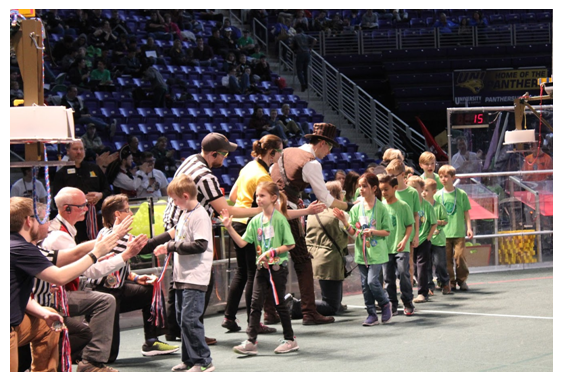 During Saturday’s award ceremony, we received the Creativity Award for our creative robot. Despite the fact that we did not qualify for the St. Louis Championships, we had a good season. Congratulations to all of the teams we competed with, both at the Northern Lights Regional and the Iowa Regional. Thank you to all of the volunteers who helped make both regionals possible. Also, thank you to all of the parents, mentors, and sponsors who have helped throughout this season. Now that our season is over, we look forward to participating in and organizing events to help spread FIRST and help others teams.